This is more a guide than a true recipe to make orange scented whipped cream. You should use as much (or as little) sugar as you like. I err on the barely sweetened side, usually 1 teaspoon of sugar per cup of heavy cream. The same goes for the orange zest. The more you use, the stronger the flavor will be. 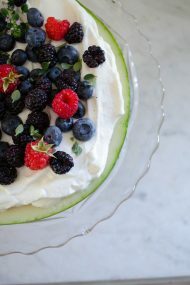 And don’t forget to use Confectioners’ sugar for a smooth whipped cream. Granulated sugar will result in a grainy texture. 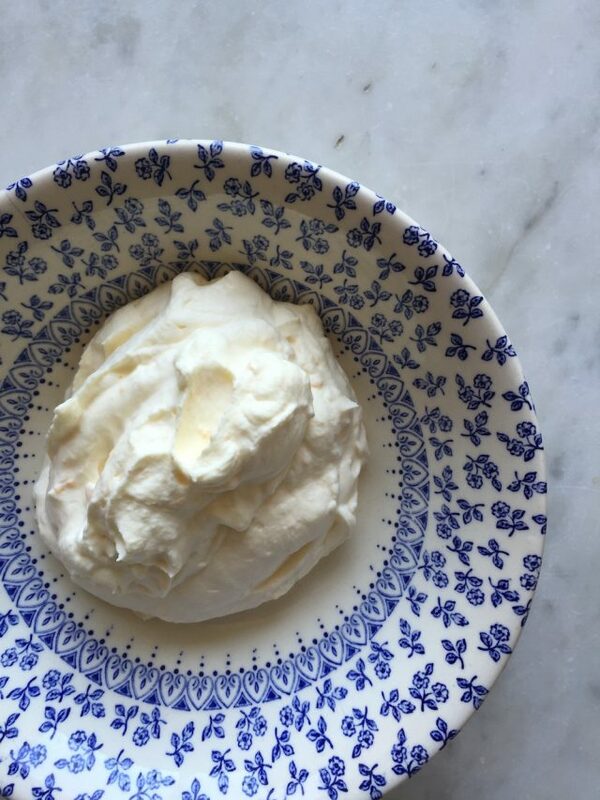 Many recipes will advise you to freeze your bowl and beaters before making whipped cream. I’ve never found this to be a necessary step, with a room temperature bowl working perfectly fine. Just make sure you’re cream is VERY cold, and full fat (light cream will not whip properly). 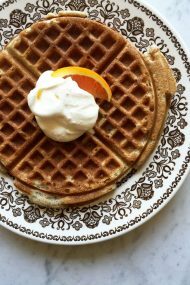 If you would prefer to not have bits of orange zest in your whipped cream, then steep the cream and zest together overnight. Pour the cream through a fine mesh strainer before whipping. Try it in hot chocolate. Or on top of ice cream! Add the cream to a bowl (a metal one works best). 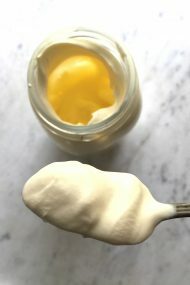 Using a whisk, hand held electric beaters, or a stand mixer, beat the cream until it develops some body but doesn’t fully thicken. Add the sugar and orange zest. Continue beating until thickened, and soft peaks form. Use immediately, or cover and store in the fridge for up to 2 hours. You may need to re-whisk it before serving.